Over the years, we have been praying and seeking God to send us laborers to the fields that are ripe for the harvest and it is with great joy that we have been able to see people respond to God’s call to go to the ends of the earth to share the message of our Lord Jesus. The fields truly are ripe… people many of you know have responded to the call…and we need your partnership to bring them to, and keep them on, the field. 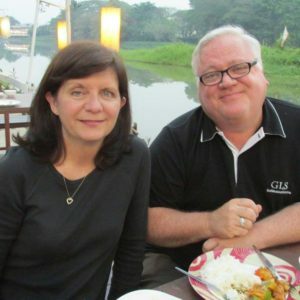 Michael and Hope Johnson came to Thailand nearly 17 years ago and God has blessed the work of their hands since the beginning. Michael serves as the pastor at NTIM’s church plant Baan Athitaan Church. He also is on the board of directors for NTIM and leads our outreach program Grace Language School. Hope is active at BAC and teaches at GLS. She also is a guidance counselor and a teacher at Chiang Rai International School. Jodie Robinson is one of our newest field representatives. She joined NTIM in July 2018. 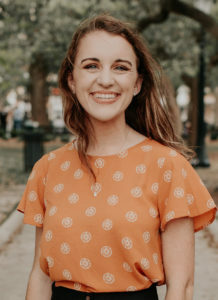 She first heard about our mission in Northern Thailand through a connection with the Mississippi Baptist Convention. Jodie is from Meridian, Mississippi and graduated from the University of Mobile with a bachelor’s degree in Intercultural Studies. She works at Grace Language School as a teacher. She also helps lead our university outreach ministry, English Corner. Jodie’s love for the Thai people has grown exponentially and she is looking forward to how God will use her in the future. Derek and Jodi (Jack, Grant, Cassie) May recently joined our team in Northern Thailand. 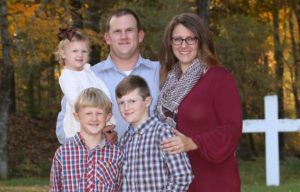 They are from Stewart, Mississippi, and were connected to NTIM by the Mississippi Baptist Convention. In January 2018, they visited Chiang Rai for the first time and it was in that moment where they felt God leading them to join the work He was doing in Thailand. They will specifically aid the NTIM team by coordinating teams during the construction of the new multipurpose building. We ask that you will continue to be in prayer for their family as they make a new transition into living in Thailand.